When I first tried this sauce I didn’t like it. For some reason several months later I bought another bottle and now I cant get enough. Try it on its own and it’s salt, vinegar and an after taste that reminds me of pickled gherkins. It doesn’t sound amazing but it seems to go well with anything and has something in it that just keeps you coming back for more. 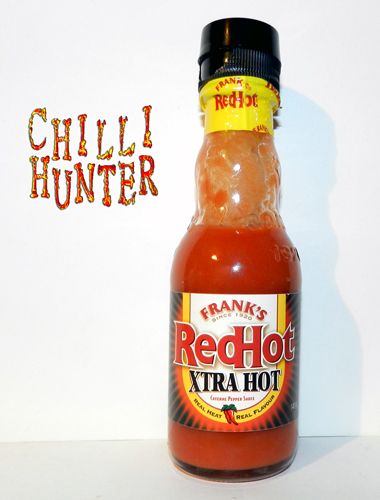 The low heat level, even in this ‘xtra hot’ version is just right, allowing you to slash on loads of the stuff. Its weird but moorish!